“A book? A resource? A movie? 21st Century Skills: Learning for Life in Our Times by Bernie Trilling and Charles Fadel is all of that. 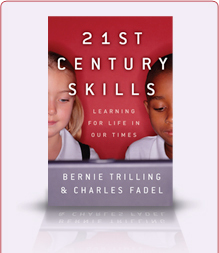 In their book and compelling DVD with teachers in action, authors Bernie Trilling and Charles Fadel do a first-rate job of laying out what 21st century skills are all about. The book makes clear why education must change: to help prepare students to meet complex challenges, fulfill their civic responsibilities, and live fulfilling lives. The authors carefully draw from studies, experiences, and leading education thinkers, such as Daniel Pink (writer), Howard Gardner (Harvard), and Edgar Morin (UNESCO), to portray fresh, engaging approaches to teaching and learning in America’s schools. The authors underscore that 21st century learning begins with rich core content. This provides the basis for the knowledge students need to apply skills. Additionally, new content, such as digital literacy, is needed for students to succeed in the 21st century. Too often policy discussions about learning stop with content, say the authors. Instead, educators should have more opportunities to focus on what students should know and be able to do. It is the application of knowledge – the doing – that describes much of 21st century skills. Trilling and Fadel say 21st century learning requires critical thinking, problem-solving, communications skills, and career and life skills. In the DVD, the authors provide brilliant video examples of interdisciplinary learning in classrooms across the country, showcasing the talent teachers need to infuse 21st century skills in their classroom practices. 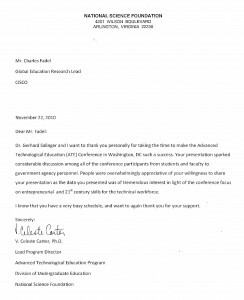 Trilling and Fadel acknowledge that educators have long-recognized the important interrelationship of knowledge with skills – the value of the lively application of learning to truly master knowledge – but unfortunately schools are not structured to routinely integrate the two. ➢ 21st Century Skills are the set of skills students need to succeed in learning, work and life in this century.